catering both to the trucker and the motorist. bays for cars in front and larger bays for trucks on the side or in back. 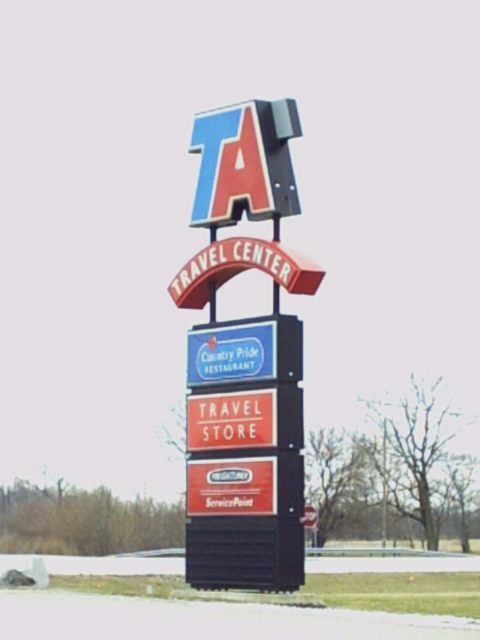 Note that TA is the brand of the travel center itself. 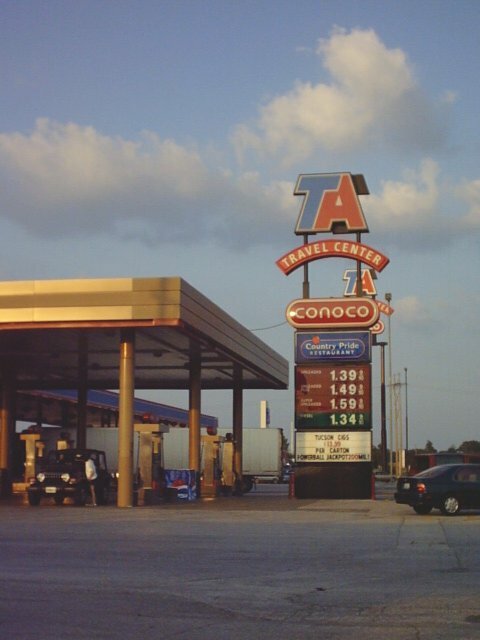 As seen in these photos, the brand of gasoline varies from location to location. TA in Mt. 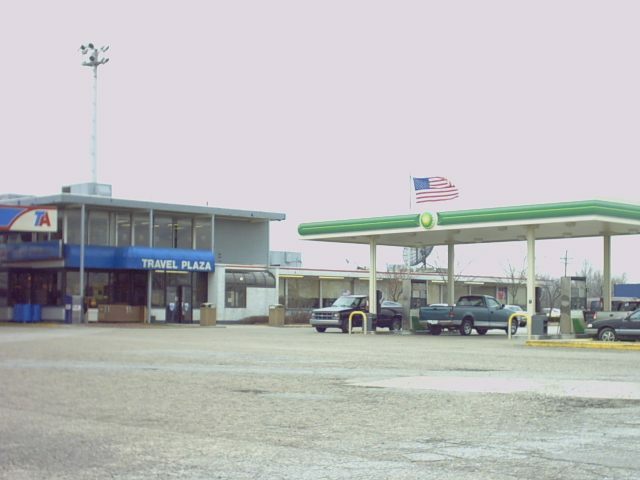 Vernon, MO on Business 44/ MO 39. Taken June 30, 2003 by John Cirillo. TA in East Springfield (Strafford), MO on I-44 at exit 88. Four views of a TA in Whitestown, IN at I-65 and SR 334, exit 130. 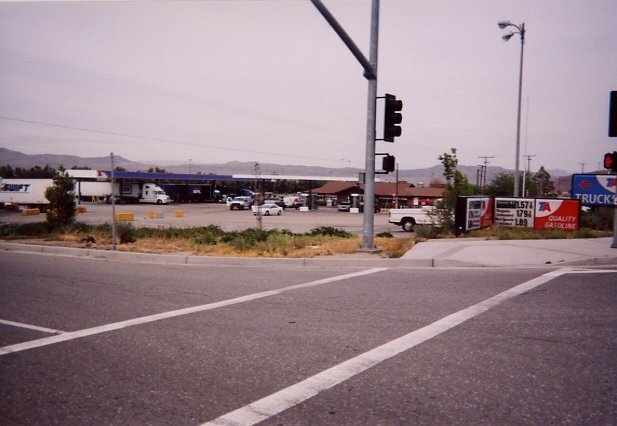 Two views of a TA on West Main Street in Barstow, CA. Taken May 6, 2003 by J. Eric Freedner. 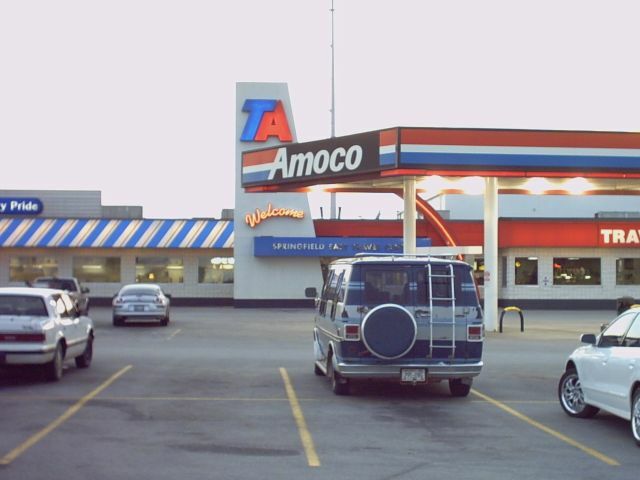 which brand of gasoline they were carrying. 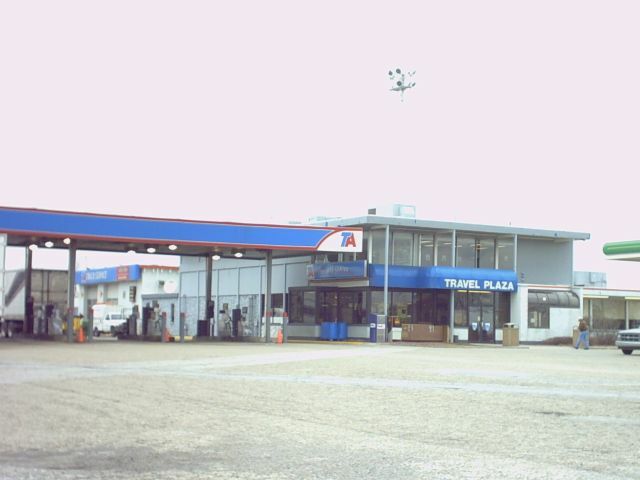 A TA sign at Kenly, North Carolina. 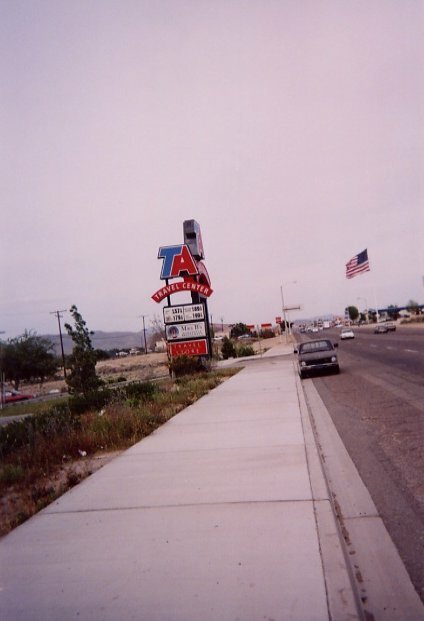 Photo taken in Nov. 2003 by Robert Droz.